Oh yes, definitely thank you for hosting. I love your Friday blog hop. They come from all over to be here. So many new people. So what happened with your picture count. Which one did people like the most? I bet it was the second one wasn't it. What a fabulous picture! Have a great weekend. Hi Java, thanks for the link up. 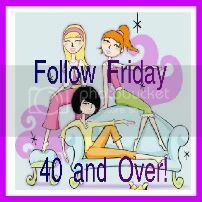 I'm happy to be part of this follow friday! Good evening Ms.Java! Thank you for hosting once again, and I hope you have a wonderful weekend. Wow! 54 weeks?! Congrats for going strong for over a year now! You've got a nice list of linkies and followers for your blog hop. How long did it take for you to build up to this? I host a weekly foodie meme called Friday Food Fight and it's been slowing growing but nearly as popular as I'd like it to be yet. I would love to hear your advice. Thanks for continuing to do this. I love linking up and visiting all the other great blogs! Have a great weekend. I haven't done 1 of these in a while, so I thought I would join in. Thanks for hosting! I am old enough to join this hop, since June 2nd! It is weird to say "40!" now. I keep thinking "late 30'!" Ha ha! Anyway I do a weekend hop and hope you will come by and link too http://tawnasplan.com I am grabbing your button now and putting it on my blog hoop page! Its been forever since I have joined the Friday Hop! Hope you have a wonderful weekend. Happy Friday!! Thanks for hosting. I am your newest follower and have just added myself to the list. Can't wait to join in. I saw your blog hop featured on another blog I follow and decided to stop by. I love your blog layout. Very nice. I am over 40 and new to blogging so I'm going to check out that list too. I am now following you and would appreciate you stopping by my blog and following if you would like to http://talesfrommyjournal.blogspot.com I can be found in facebook too http://www.facebook.com/DeniseMartin.LillaRose and twitter @DeniseLillaRose If you like/follow me there I will do the same for you. When you stop by my blog, please check out my kind of fashion (hair jewelry). Wow, just saw your picture in the sidebar! You are gorgeous! Lucky you.